Touring tuned, steel lined TS1 with avanti ex box. 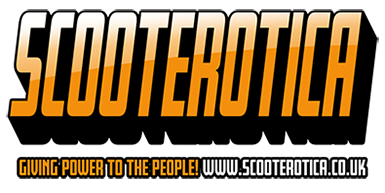 Just commented over on lcgb, but also bare in mind there are discrepancies between dyno’s mine saw a 3hp difference from MB to Chiselspeed’s machine and Martin admitted in one of the scootering articles a while back that his roller is worn smooth. 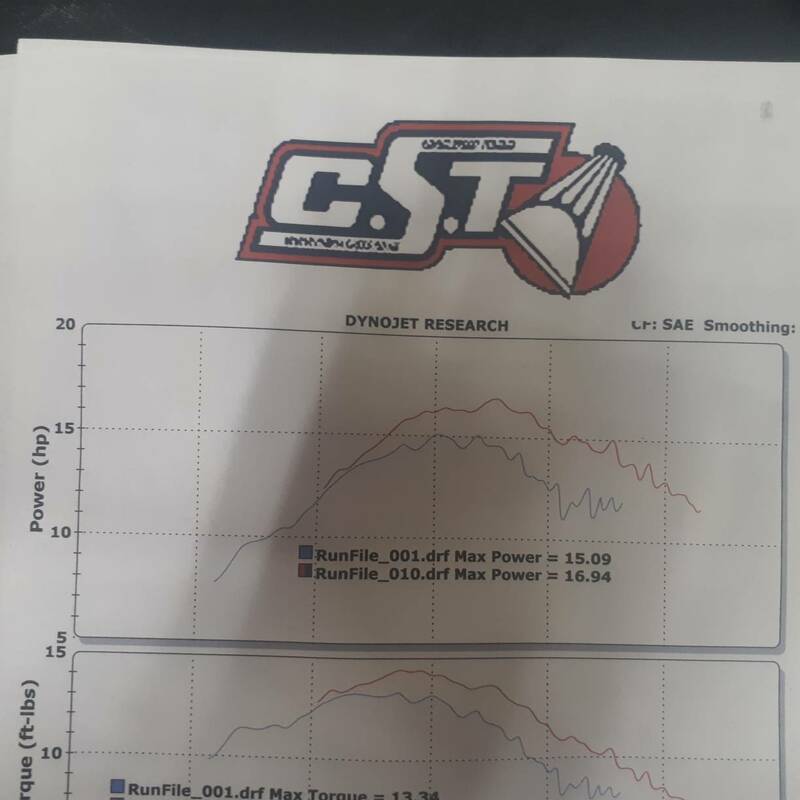 does seem a little low on max bhp although torque looks good, I think this may be down to the pipe, I suspect an expansion exhaust would release a lot more power, as to figures mine did 34 bhp on martins dyno then a few months later 35 on darrells dyno so its pretty accurate. Yes, I expected a bigger number. More like 20bhp. However, it made 20bhp with a JL3 without any set up at all, just guessed jets. So maybe I was unrealistic? By way of comparison, I had a tuned gt186 with bgm clubman that made 17bhp. Darrel Taylor's dyno for that one though. Bgm reed block. Boyesen reeds. Bgm 30mm inlet with built in stuffers. I'm suspicious of the ignition. Thinking of trying it fixed at 18. That's 2 people told me that today. 19 degrees? I've got an avanti head, so it cools well. Ignition could well be playing a big part in this as I've just been out on my Mugello 240 after making some ignition changes (static) as I was starting to think that the bike seemed to hit a rev ceiling that it couldn't go beyond. Sure enough, a change of CDI (strobed to same 17 dbtdc) now has the motor revving on considerably higher. This may be of interest to you as I also run an Avanti Ex-Box on this motor and was wondering whether the pipe was the limiting factor, which would have been odd as one of the key selling points for this pipe is the ability to rev-on beyond that of most other clubmans/super clubmans. There are many factors that can introduce an ignition rev ceiling/limiter (e.g. LT coil, flywheel type, pickup, pickup alignment, CDI, etc.) but it is not uncommon to find that an advance/retard unit that retards too far can cause this. It's a balancing act as too much advance regularly becomes a limit to rev-on, with retard often allowing a motor to spin more freely and increase rev-on range, yet too much retard then goes back to not burning cleanly/fully and can become a rev limit again... making your motor feel rich and sluggish at higher rpm. The good news for me is that my motor now revs and revs and revs, if I so choose to hold it to the higher rpm range, making it a viable pipe for many of the kits that other clubmans strangle. Cheers adam. That's very interesting, especially as you're running an ex box too. It's a long time since I built the motor, but I really don't think it's an assembly issue; I kept notes, the squish is 1.2mm and I spent an age getting it 100% leak-free. So, my thinking was to set it at 18 (maybe 19 as I've got a big head, CHT gauge and a clubman with big tail pipe) and see how that goes. The only issue is that I need to get to a dyno for an objective measurement. I'm not keen on thrashing it yet as it's not even done 5 miles! For now though, I'm going to take it for a spin, tjen fix the ignition at whatever I decide and give it a back to back test.